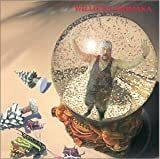 Willie Wonderland - Willie K.
12. Do You Hear What I Hear? 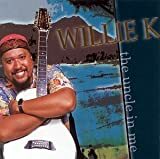 Maui's favorite son, Uncle Willie K, has been playing music and mesmerizing audiences around the world since the age of 10. Having performed with the likes of B.B. 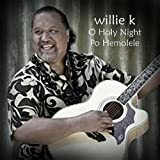 King, Santana, Prince and Willie Nelson, Willie K has garnered countless N„ H"k Hanohano Awards for both production and performance, as well as earning a spot on the inaugural Grammyr Award ballot for Best Hawaiian Music. Widely regarded as Hawaii's greatest entertainer, Willie shared his talents with the national audience appearing on VH1's '100 Greatest Love Songs' with Jennifer Love Hewitt, provided the entertainment for a Monday Night Football Halftime show, as well as the Pro Bowl Halftime Show and starring in local feature film Get A Job. Willie has also toured Germany with Simply Red, sharing the music of Hawai'i on the World Stage. There is only one Willie K! . http://real-hawaiians.seesaa.net/article/168328461.htmlWillie Wonderland - Willie K.
Uncle Willie K. Live At Mulligans On The Blue[DVD] - Willie K.
Often called the best entertainer in Hawaii and, possibly, the country, Willie K does everything in his one man show...ranging from Hendrix and Santana to Hawaiian slack key and Italian Arias a'capella. 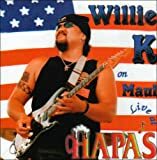 This live DVD captures Willie at Mulligan's in Maui. His guitar prowess has attracted sit-ins at his shows with the likes of Sting, Prince and Metallica. http://real-hawaiians.seesaa.net/article/169130613.htmlUncle Willie K. Live At Mulligans On The Blue[DVD] - Willie K.
Amy & Willie Live - Amy Hanaiali`i Gilliom & Willie K.
6.Ka`u `Elemakule (My Old Man) Willie K.
http://real-hawaiians.seesaa.net/article/169129498.htmlAmy & Willie Live - Amy Hanaiali`i Gilliom & Willie K.
Nostalgia - Amy Hanaiali`i Gilliom & Willie K.
アーティスト:Amy Hanaiali`i Gilliom & Willie K.
All 12 of the songs featured on "Nostalgia" have been meticulously researched and interpreted into the Hawaiian language. Amy Hanaialii combines her classical vocal training with the Hawaiian traditional art of falsetto singing in these alluring sounds of the past with a fresh interpretation. 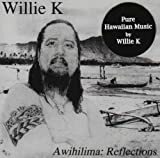 Willie K lends his incredible arrangements to each song in a diverse range that promises something for everyone. http://real-hawaiians.seesaa.net/article/169128636.htmlNostalgia - Amy Hanaiali`i Gilliom & Willie K.
Hanaiali`i - Amy Hanaiali`i Gilliom & Willie K.
http://real-hawaiians.seesaa.net/article/169128168.htmlHanaiali`i - Amy Hanaiali`i Gilliom & Willie K.
Hawaiian Tradition - Amy Hanaiali`i Gilliom & Willie K.
Amy's affection for her island music is totally visible in this collection. 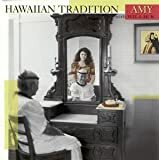 Amy's kama'aina family roots vibrate joyously with the sound of her unusual musical accomplishment and performance in this, her first truly Hawaiian album. 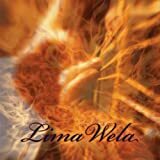 A contemporary, yet respectful, exciting musical adventure performed by a young, consummate artist who understands the importance of the musical traditions of old Hawai'i and the gift of freedom of musical expressions bestowed on the now generation of Hawai'i. http://real-hawaiians.seesaa.net/article/169081130.htmlHawaiian Tradition - Amy Hanaiali`i Gilliom & Willie K.
Willie Kalikimaka - Willie K.
http://real-hawaiians.seesaa.net/article/169077445.htmlWillie Kalikimaka - Willie K.
The Uncle in Me, Volume 2 - Willie K.
http://real-hawaiians.seesaa.net/article/169075253.htmlThe Uncle in Me, Volume 2 - Willie K.
The Uncle in Me - Willie K.
As a solo performer, Willie's music is an evolutionary consummate experience, and it is this music, his best music, that is presented on this new project. 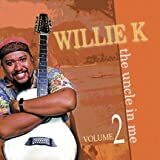 This CD, "The Uncle in Me", allows you to experience Willie's evolution...an evolution of heart and soul and remarkable talent...the music of Willie K.
http://real-hawaiians.seesaa.net/article/169074501.htmlThe Uncle in Me - Willie K.
Live at Hapa's - Willie K.
http://real-hawaiians.seesaa.net/article/169073626.htmlLive at Hapa's - Willie K.